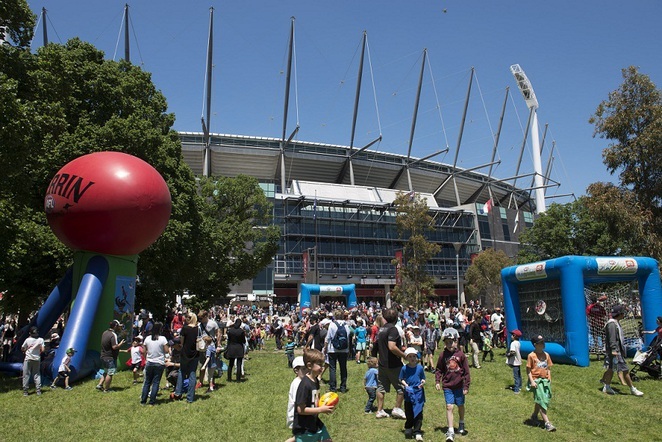 Hang up the grey cloak of Winter and embrace the coming of Spring in Melbourne. While we bid fond goodbyes to the ever-popular fireworks at the Docklands and the Luna 1878 at Queen Victoria Market, September brings a whole platter of new events that make this city the event capital of Australia. Let the city's laneways, tramways and motorways take you on a journey of discovery - open your mind to the future of manufacturing; gaze at the full moon; live on the Fringe; put a tap into your step; walk among the flowers; run amok in the MCG; light up the night; and see the Great Ocean Road on 2 wheels. Whatever you choose, make your September the best ever with these top picks of not-to-be-missed events. 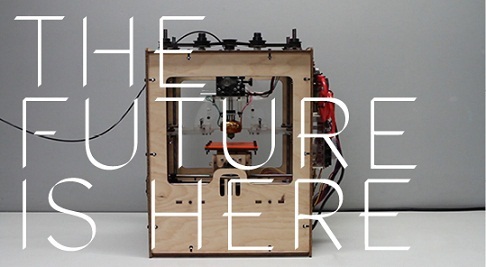 Let the Design Museum London and the RMIT Design Hub open your mind to the future of manufacturing where innovation, design and emerging technologies takes precedence at 'The Future is Here'. Step into the 'Factory' and you will witness different futuristic machines including 3D printers, robots and a CNC milling machine at work. Then take a further step into BLOOM and experience the London installation where urban toy and social game meets collective gardening. Best of all, admission to these exhibitions are FREE. Get active this September with a 500 year old tradition from Italy. 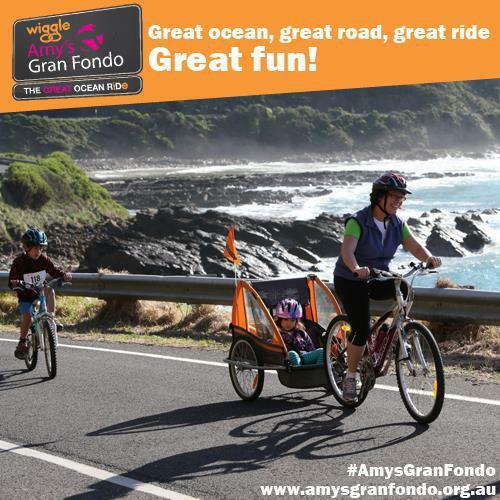 Originally a walking event, the 'Gran Fondo' or 'great endurance' in Italian will transform the Great Ocean Road into an idyllic 110 kilometre cycling course on 14 September. There are age category competitions from 16 to over 65 years for both genders. This old Italian cycling tradition is the only event which offers the experience of a fully closed road in the country's cycling calender. You can also choose the 'Medio Fondo' which offers a shorter 40 kilometre event distance. Cycling families with kids can join the 14 kilometre 'Piccolo Fondo'. Everyone else can enjoy a relaxing day out watching the race with coffee and breakfast at one of the many cafes in Apollo Bay. Visit the website for more details on the cycling course, fees and schedule. You can stop berating yourself for missing the Mid-Autumn Festival in the first weekend of September due to Father's Day celebrations. Dandenong Market is celebrating their Full Moon Festival on 14 September. There will be cultural activities for adults and kids including mooncake eating competition and lantern making, and many Asian food stalls representing China, Vietnam, Malaysia, Singapore, Thailand, Korea, Taiwan, Philippines, Indonesia, Cambodia, Japan and other surrounding countries. 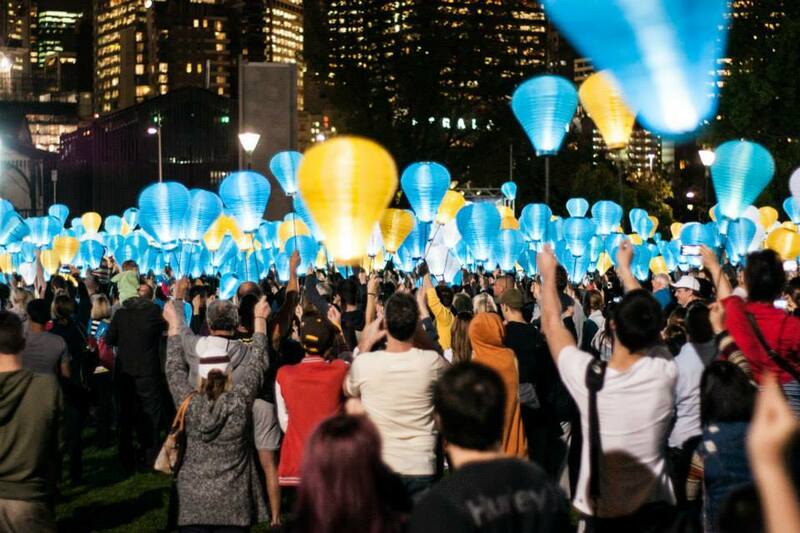 Although this important Chinese festival is celebrated in over 10 countries around Asia like China, Hong Kong and Singapore and also in Australian cities like Sydney and Adelaide, all their Mid-Autumn Festival events complete around 8 September. 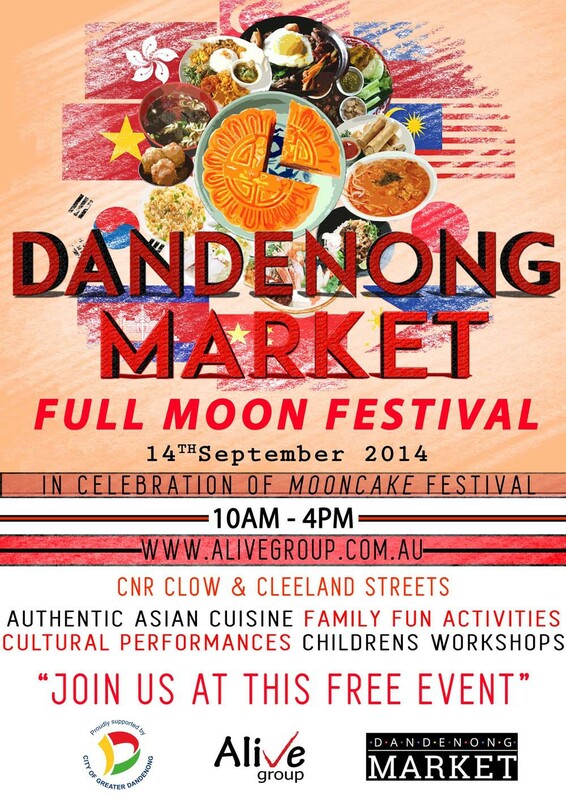 So if you miss this FREE event in the Dandenong Market, you'll just have to wait till next year. The annual Melbourne Fringe Festival returns in September to feed everyone's hunger for local art, artists and art events. Artists working with all types of art-form get a platform to develop, present and promote their work while the public get to enjoy the proliferation of creativity and expression in venues all over Melbourne. From 17 September to 5 October, forget television. The Festival Hub and its Independent Arts Program will move you with a curated cross-section of arts experiences. The Festival's Creative Program will wow you with FREE works in public spaces developed by teams of emerging and established artists. 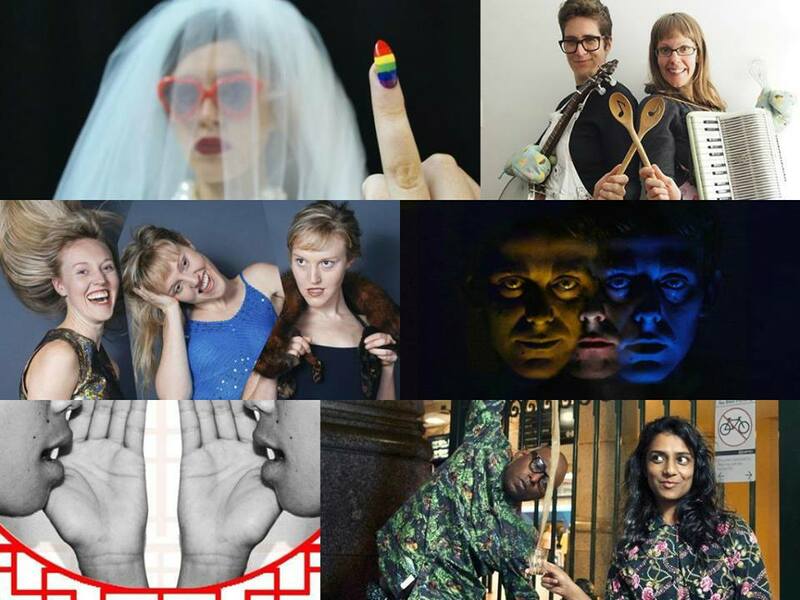 Check out the website for tickets and details on the whole list of music, comedy, dance, visual arts, circus, live art, cabaret, kids and special events in this open-access, multi-arts Festival. 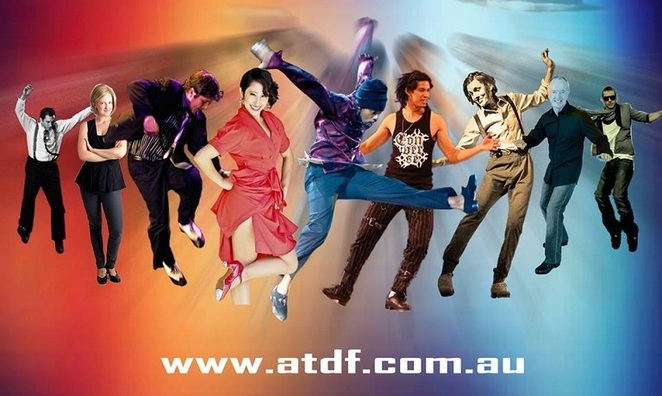 Melbourne will be taken over by tap as the Australian Tap Dance Festival returns on 27 September with a week-long event dedicated to all things tap-related. There are activities for everyone from the professional to the spectator. Professional and novice tap dancers can enjoy masterclasses with experts from around the world and across Australia. 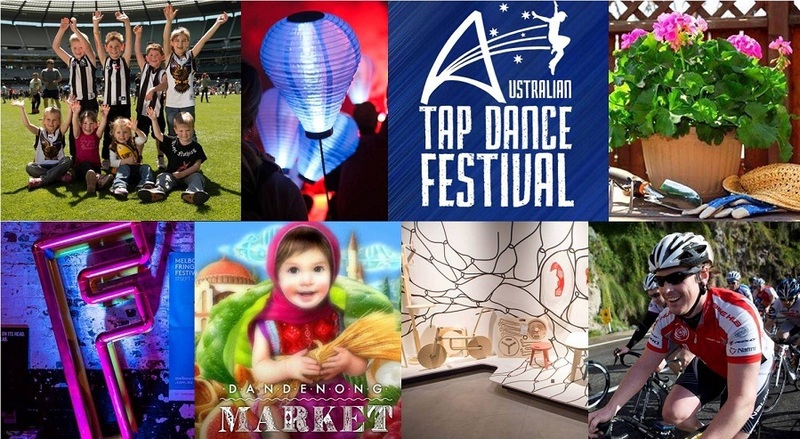 If you're interested to learn more about tap dancing, the Festival is offer FREE classes as well as performances and competitions at just $15 a ticket. Whatever session you choose, this event will certainly put a tap into your step. September brings a cornucopia of floral and garden shows around Victoria that draw many interstate and local visitors each year. 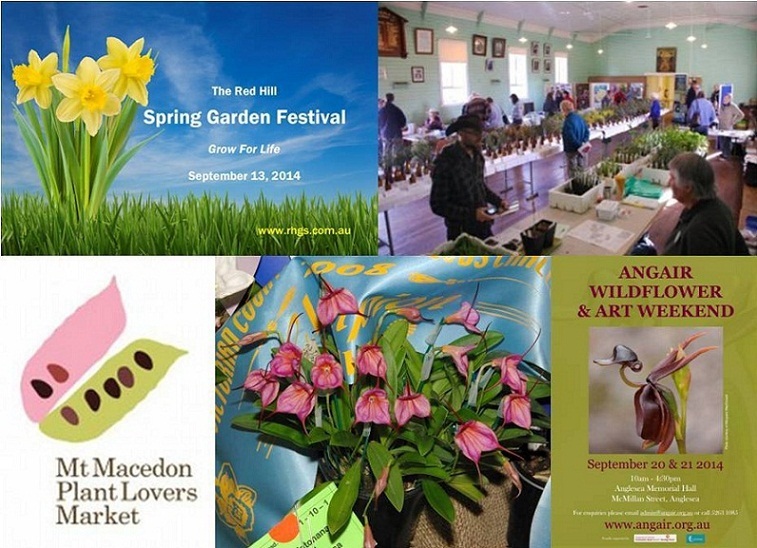 The best of the region's horticultural events are running every weekend in Mornington Peninsula, Macedon Ranges, Anglesea, Inglewood and Stawell. Whether you're a gardening enthusiast or an admirer of nature's beauty, these affordably-priced shows will offer a great day out in country Victoria for the whole family. Thanks for the guide - Spring can seem a little dreary in Melbs sometimes!